I haven't been able to progress farther. Are there hidden zones? What am I missing? Sonic Mania has 13 different zones. (8 remastered, 5 new). 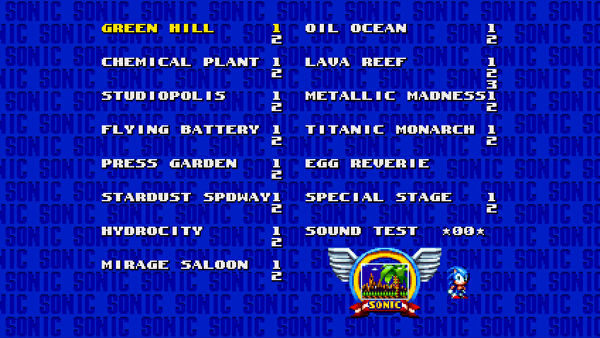 Egg Reverie Zone is the thirteenth and true final Zone in Sonic Mania. It can only be accessed while playing as Sonic after collecting all 7 Chaos Emeralds. You can view all of the available zones through the unlockable level select menu in Debug Mode. Not the answer you're looking for? Browse other questions tagged sonic-mania or ask your own question. How many Blue Sphere stages are in Sonic Mania? How do I get Sonic Mania's true ending?